Home » Posts tagged "riversmart"
FREE handbook! 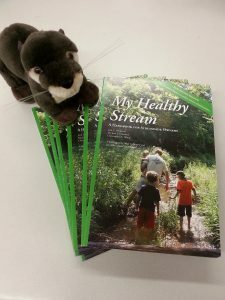 Do you own streamside property within the Farmington River Watershed? Eager to learn more? Contact us to receive a FREE copy of My Healthy Stream – A Handbook for Streamside Owners! A publication of Trout Unlimited and the Aldo Leopard Foundation. Funding for FRWA’s River Smart outreach program is provided in part from the Long Island Sound Futures Fund, administered by the National Fish and Wildlife Foundation.